Coach Boone, a black, gets appointed as the Head Coach of football for the Titans, replacing Coach Yoast, a white. Yoast gets pushed down as Assistant Head Coach, and feels insulted. He decides to quit, and go to another school where he is offered the position of Head Coach. But, the white boys in Titans refuse to play for Boone, especially if Yoast is quitting. So, Yoast stays as Assistant. Coach Boone takes them all on a training camp. When asked to get into the buses, all the whites go into one, and the blacks into the other. Seeing this, Coach Boone calls everybody out again, and mixes them according to their positions- offence and defense. So, all boys playing offence end up in a bus, and the defense players in the other. That’s the first step Boone takes in uniting them. At the camp, they initially fight, but later understand each other, and become great friends! They stop seeing each other by colour, and rather by football playing standards. 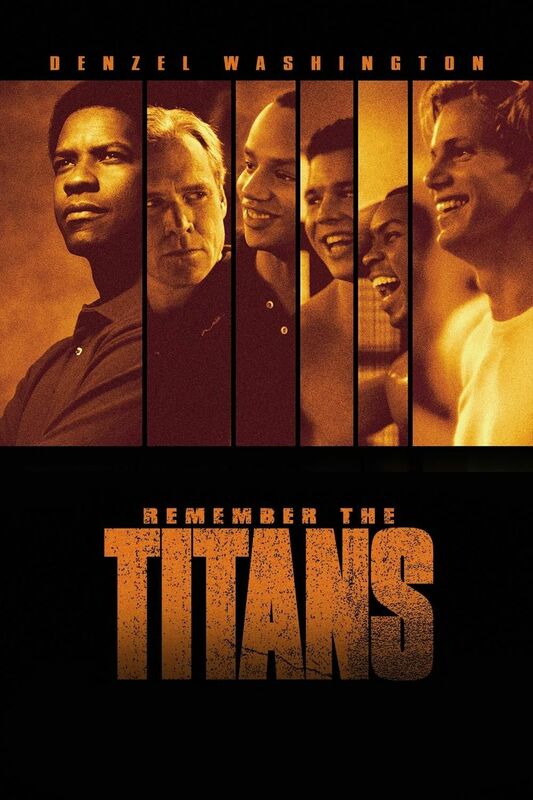 Gerry Bertier, a white, and Julius Campbell, a black, become such thick friends that nothing tears them apart! They all survive Boone’s tough training, and get into the team of Titans. The training ends successfully, and they come back- blacks and whites together- happily chatting away and singing. But, they are shocked to see the whites protesting against the blacks back at their place. They stick together, and keep their friendship, irrespective of the feelings of their family and friends. On the football side, they beat every team against them in all matches, having a string of victories to be proud of. The people, whites and blacks, learn from the friendship of the team, and start accepting the concept of living without seeing colour. The Titans make it to the state championship and win it, even though the referee plays it unfair! This makes the whole town look up to them. There are parties organised, and they completely celebrate their win. But at that time, Gerry meets with an accident, and gets paralysed waist down. This brings gloom to the whole team. They don’t know what to do without their captain and best player. The big day of the final championship match of the season arrives! They go on to the pitch with determination, but do very badly in the first half. They buck up, convincing themselves that they ought to do it for their coaches, for the people, for Titans, and especially for Gerry, who is seeing the game from his hospital room! This makes them play real well, and they win the championship. They make everybody around them proud! They show the world that the whites and blacks can unite, and win! The movie is wonderful! The part I liked the best is during their training camp. The way they become so close from being enemies, is so good! I loved it. My most favourite characters were Gerry, Sheryl, Julius, Ronnie Bass(Sunshine) and Petey! They are cool. The movie was really very good to see.